Every culture has myths of so called visitors from the stars, in reality the Dark Lords. In the book of Jubilees, the Book of Enoch, and the Book of Daniel, they are known as Watchers. They appear in the myths of many diverse cultures, and folklore, sometimes passing themselves off as beings that came from the stars, even calling themselves star gods. The emperors of Japan, the Kings of the Aztec’s, and Mayans, are said to be descendants of the star gods, or Dark Lords. The Babylonians, Greeks, Romans, and all ancient cultures, recorded a race of beings displaying great powers of intellect, huge size and great strength. The word “Egregore” is from the Greek egrgoroi, “The Watchers” and appears in the septuagint translation of the Book of Lamentations, as well as the Book of Jubilees and the Book of Enoch. An egregore is an angel, sometimes called watcher; in Hebrew the word is ir, and the concept appears in The Book of Enoch. Thus, Irim, the city of the Nephilim is again linked with the Book of Enoch, since the Nephilim, according to that Book, were the sons of the Irim (the egregores). The Watchers are also considered the fallen angels which are called forth in ceremonial magic, the beings who guard portals that link worlds together. Within such systems they are viewed as a spiritual race, a set of deities, or as spirits of the four elements. The Watchers are associated with the four quarters of north, east, south, and west. In some Traditions the Watchers are associated with the four elements of earth, air, fire, and water, they are also linked to each solstice and equinox, as well as to a specific star. In the early stellar cults of Mesopotamia there were four “royal” Stars (known as Lords) which were called the Watchers. Each one of these stars “ruled” over one of the four cardinal points common to Astrology. This particular system would date from approximately 3000 BC. The star Aldebaran, when it marked the Vernal Equinox, held the position of Watcher of the East. Regulus, marking the Summer Solstice, was Watcher of the South. Antares, marking the Autumn Equinox, was Watcher of the West. Fomalhaut, marking the Winter Solstice, was Watcher of the North. In the star myths the Watchers themselves were depicted as gods who guarded the Heavens and the Earth. Their nature, as well as their “rank”, was altered by the successive lunar and solar cults that replaced the older stellar cults. In one version, a group of fallen angels described in Biblical apocrypha mated with mortal women, giving rise to a race of hybrids known as the Nephilim, who are described as giants in Genesis 6:4. A different idea of the Grigori appears in some traditions of Italian witchcraft where the Grigori are said to come from ancient stellar lore. References to angelic Grigori appear in the books of Enoch and Jubilees. In Hebrew they are known as the Irin, “Watchers,” found mentioned in the Old Testament Book of Daniel. In Jewish legendary lore, the grigori are a superior order of angels in both the 2nd and 5th Heavens (depending on whether they are the holy or unholy), they resemble men in appearance, are taller than giants and are eternally silent. 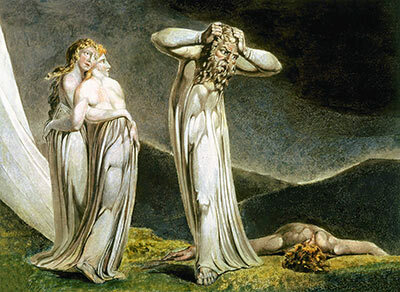 According to The Book of Jubilees, the watchers were sent by God to instruct the children of men, but they fell after they descended to earth and started co-habiting with mortal women. In Enoch I there is mention of 7 watchers, and here the story is that they fell because they failed to appear on time for certain tasks apportioned to them. Some versions of rabbinic and cabalistic lore speak of good and evil watchers, with the good watchers still dwelling in the 5th Heaven, the evil ones in the 3rd Heaven (a kind of Hell-in-Heaven realm). In Enoch, the Watchers are angels apparently dispatched to Earth simply to watch over the people. They soon begin to lust for the human women they see, and at the prodding of their leader Samyaza, they defect en masse to marry and live among men. The children produced by these relationships are the Nephilim, savage giants who pillage the earth and endanger humanity. Samyaza, Azazel, and the others become corrupt, and teach their human hosts to make metal weapons, cosmetics, and other necessities of civilization that had been kept secret. But the people are dying and cry to the heavens for help. God sends the Great Flood to rid the earth of the Nephilim, but sends Uriel to warn Noah so as not to eradicate the human race. The Grigori are bound “in the valleys of the Earth” until Judgment Day. Here, the “sons of God” are given no specific name or function; they could represent fallen angels, or simply heavenly beings that mate with women. The Book of Jubilees adds further details about the Watchers. While “Watchers” or “Sentinels” are mentioned alongside the “holy ones” in the Book of Daniel, angels were fairly popular in Jewish folklore, which often describes them as looking like large human beings that never sleep and remain forever silent. Araqiel: taught the signs of the earth. Armaros: taught the resolving of enchantments. Azazel: taught the making of weapons of war. Ezequeel: taught the knowledge of the clouds. Gadreel: taught the art of cosmetics. Sariel: taught the knowledge of the Moon. Shamshiel: taught the signs of the Sun. It is these same angels who are referred to as the Sons of God in the Book of Genesis. According to Christian belief their sins filled the Earth with violence and the world was destroyed as a result of their intervention. Christian theologians joined the Watchers to an evil class of fallen angels known as the principalities of the air. St. Paul, in the New Testament, calls the Fallen Angels “principalities”: “for we are not contending against flesh and blood, but against the principalities, against the powers…against the spiritual hosts of wickedness in High Places”. It was also St. Paul who called Satan “The prince of power of the air”, and thus made the connection of Satan (himself connected to “a star”, Isiah 14: 12 14) and etheric beings, for they were later known as demons and as principalities of the Air. The concept of beings existing between Humans and Angels and associated with the Elemental natures of Earth, Air, Fire and Water was taught by certain Gnostic sects in the early days of Christianity. Clement of Alexandria, influenced by Hellenistic cosmology, attributed the movement of the Stars and the control of the four elements to angelic beings. Armaros (also Amaros) in Enoch I taught men the resolving of enchantments. Araqiel (also Arakiel, Araqael, Araciel, Arqael, Sarquael, Arkiel, Arkas) in Enoch I taught humans the signs of the earth. However, in the Sibylline Oracles, Araqiel is referred to not as a fallen angel, or Grigori, but as one of the 5 angels who lead the souls of men to judgement, the other 4 being Ramiel, Uriel, Samiel, and Aziel. Azazel in I Enoch taught men to make knives, swords, shields, and how to devise ornaments and cosmetics. Baraqel (Baraqiel) taught men astrology (from Enoch I). Chazaqiel taught men the signs of the clouds (meteorology) in Enoch I.
Kokabiel (also Kakabel, Kochbiel, Kokbiel, Kabaiel, and Kochab), in The Book of the Angel Raziel, is a high-ranking, holy angel but, in general apocryphal lore and also in Enoch I, he is a fallen Grigori, resident of nether realms, and commands 365,000 surrogate spirits to do his bidding. Among other duties, he instructs his fellows in astrology. Sariel (also Suriel, Zerachiel, and Sarakiel) is one of the 7 archangels originally listed in the Enoch books as Saraqel. Apocryphally, he is the governor of the zodiacal sign of Aries. In the Enoch books, he also teaches of the courses of the moon (at one time regarded as forbidden knowledge). Samyaza (also Shemyazaz, Shamazya, Semiaza, Shemhazi, Semyaza and Amezyarak) is one of the leaders of the fall from heaven and is referred to in the Dead Sea Scrolls and Vocabulaire de l’ Angelologie. Shamsiel, once a guardian of Eden, in the Zohar, served as one of the 2 chief aides to the Archangel Uriel (the other aide being Hasdiel) when Uriel bore his standard into battle, and is the head of 365 legions of angels and also crowns prayers, accompanying them to the 5th heaven. He is referred to in Jubilees as one of the Grigori. In I Enoch he is a fallen angel who teaches the signs of the sun.